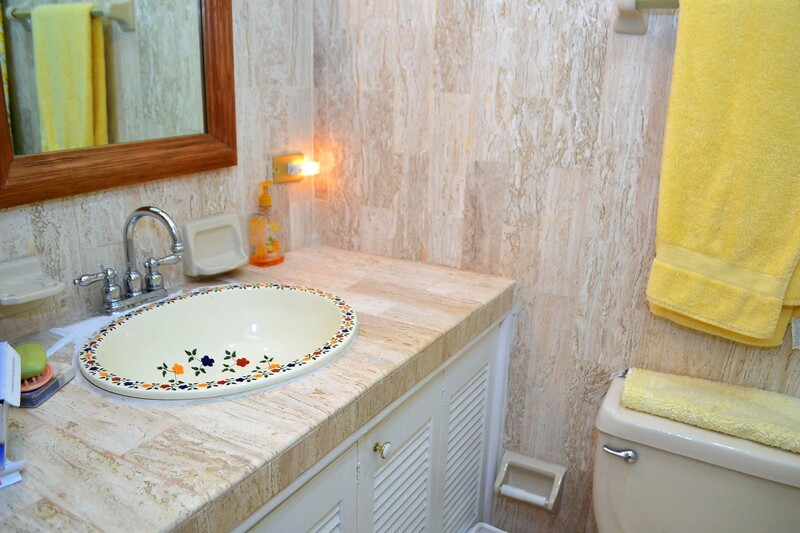 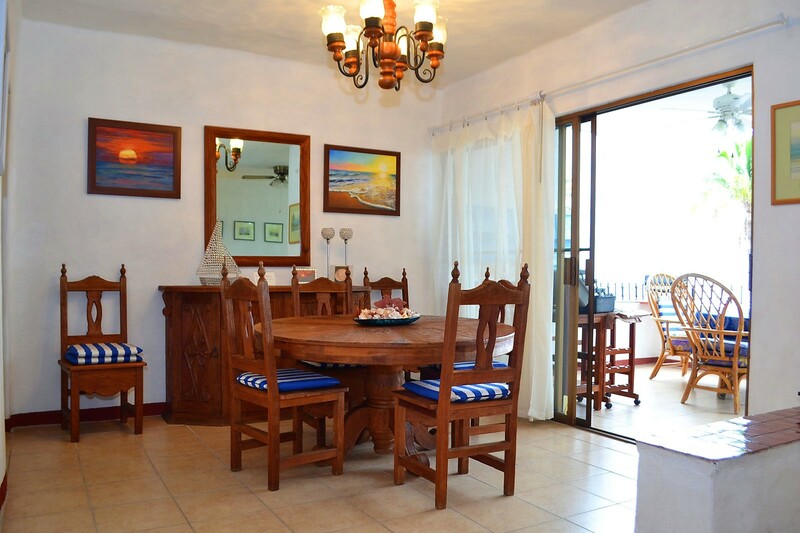 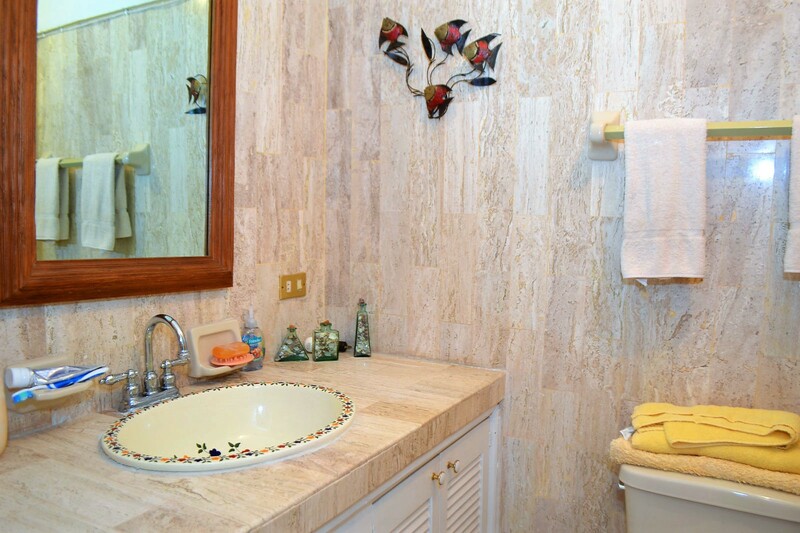 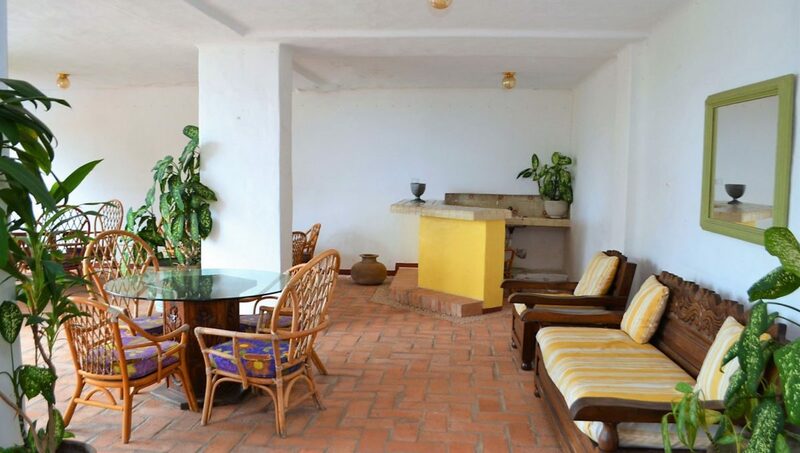 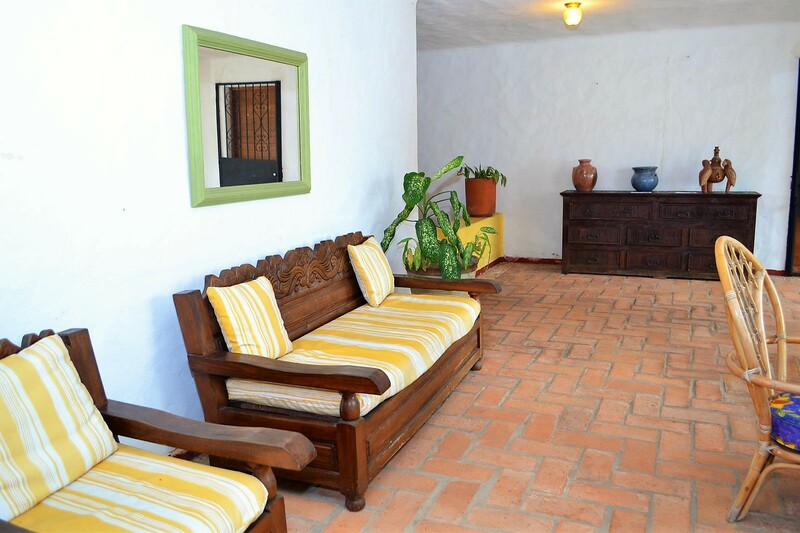 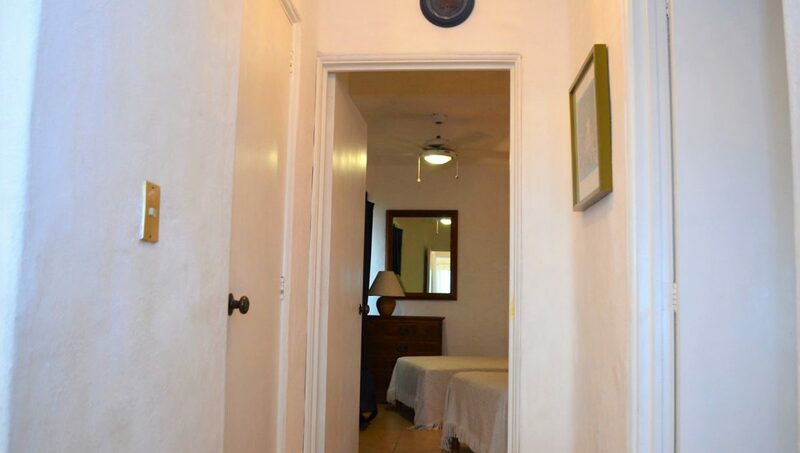 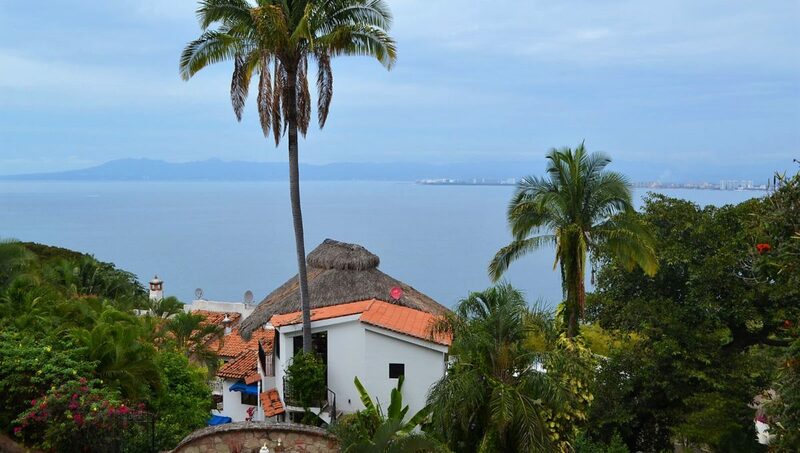 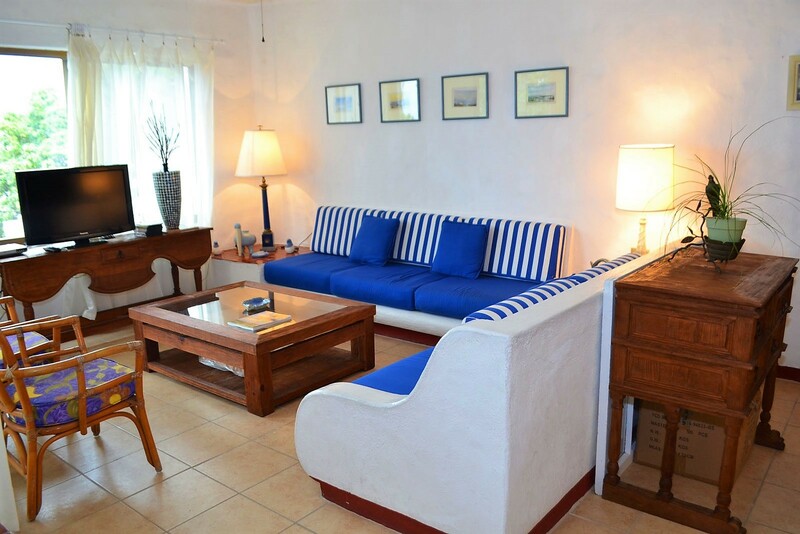 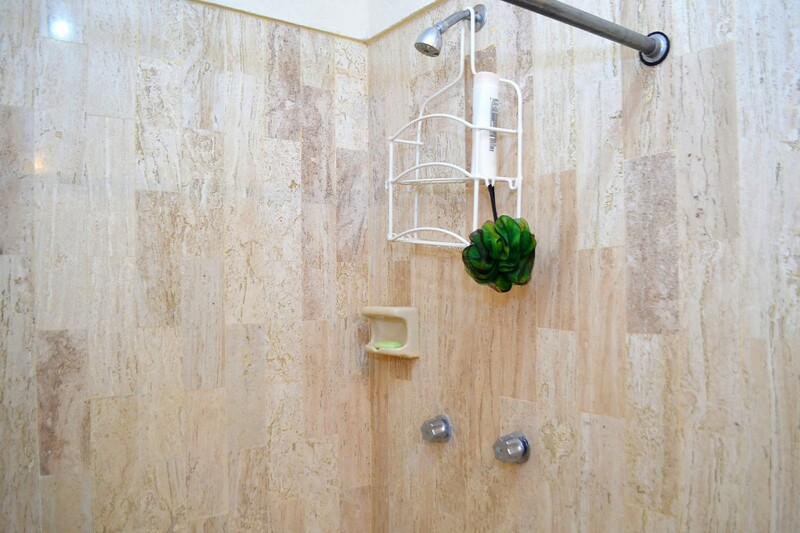 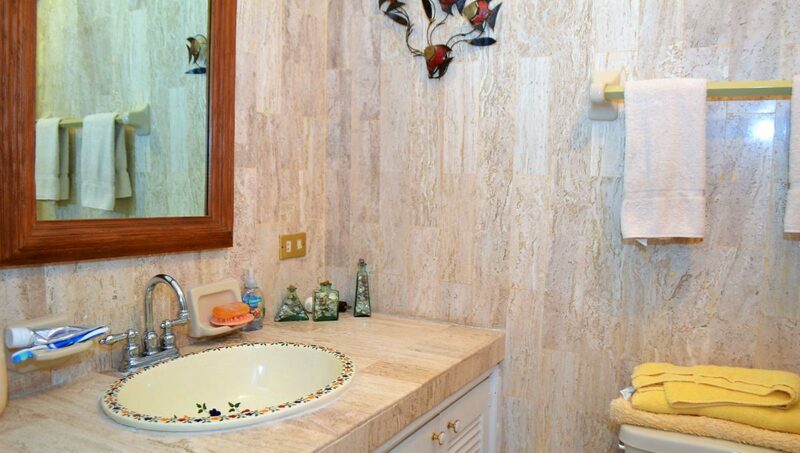 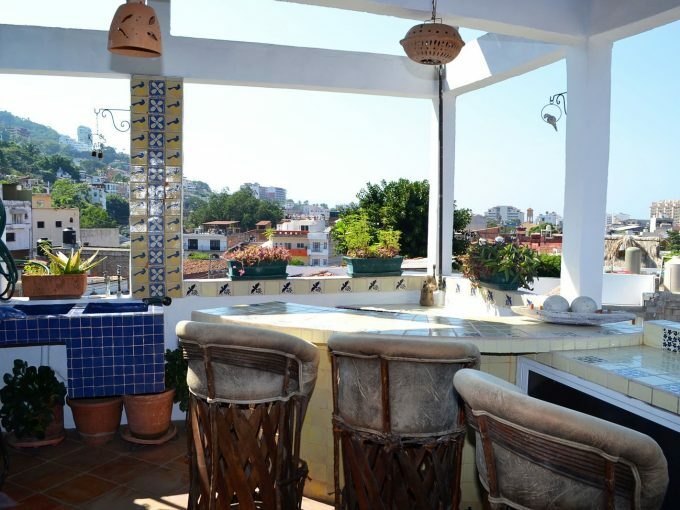 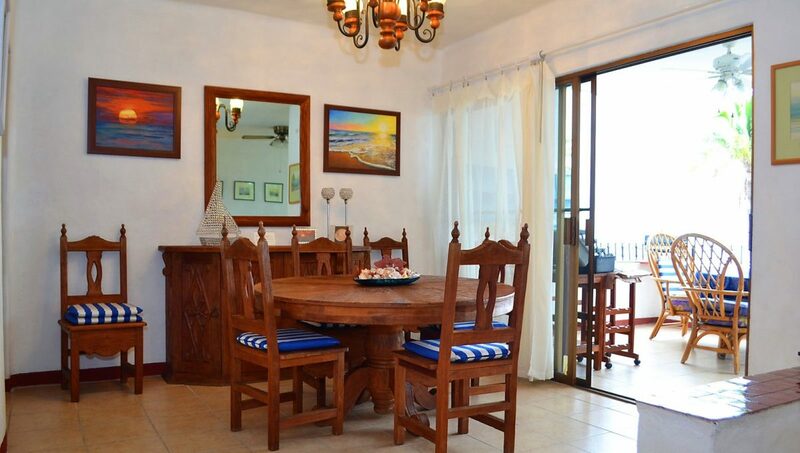 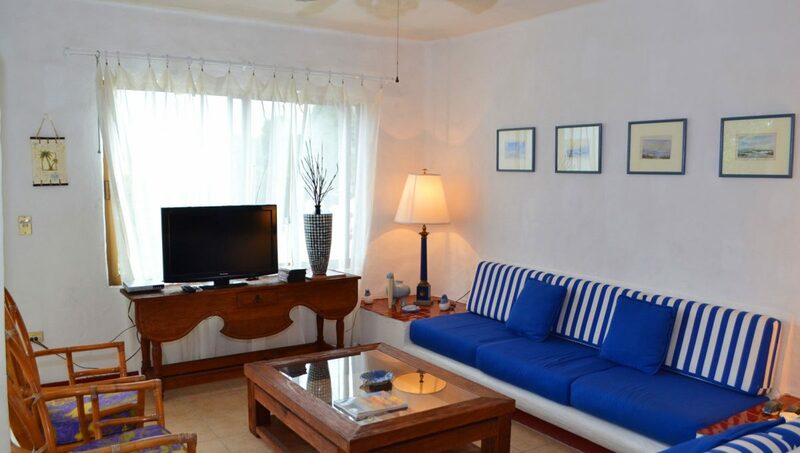 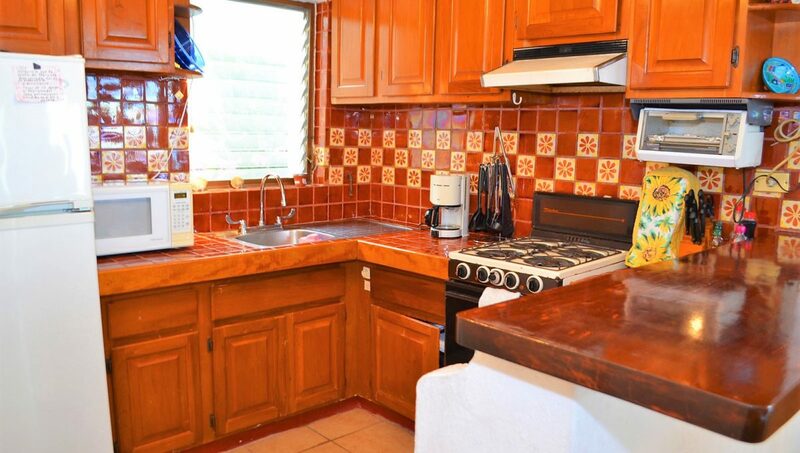 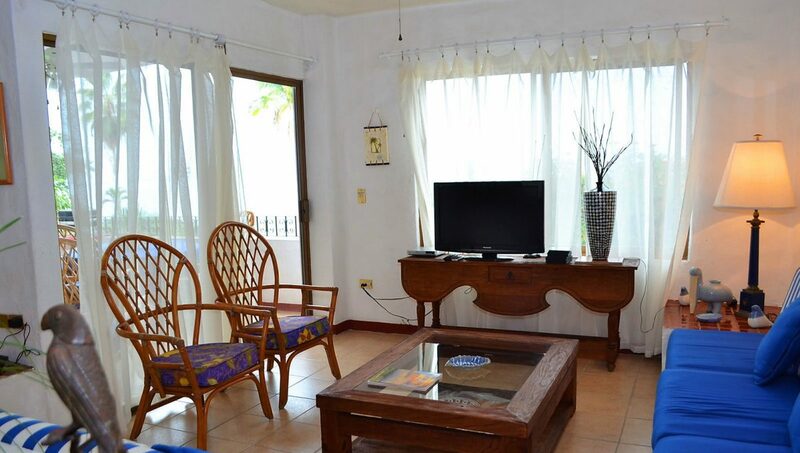 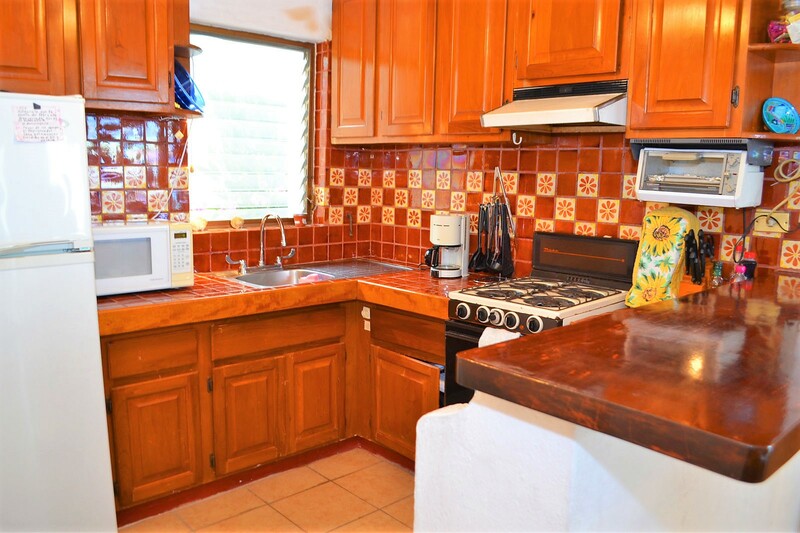 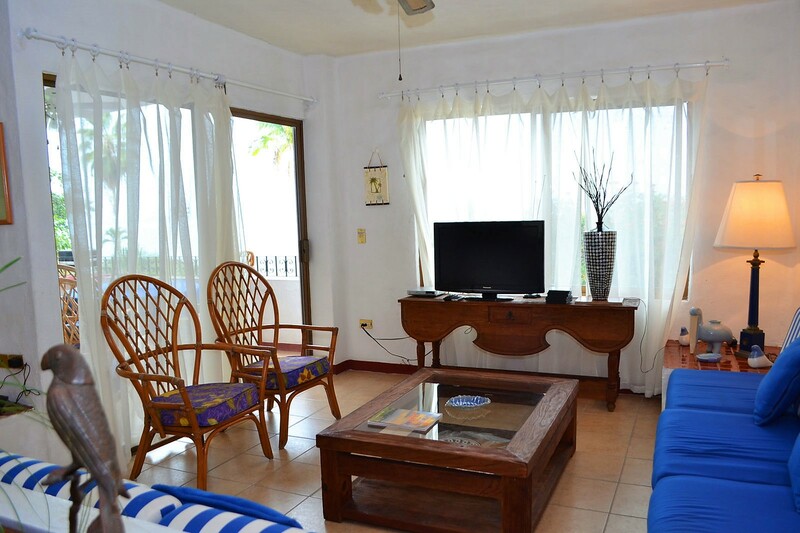 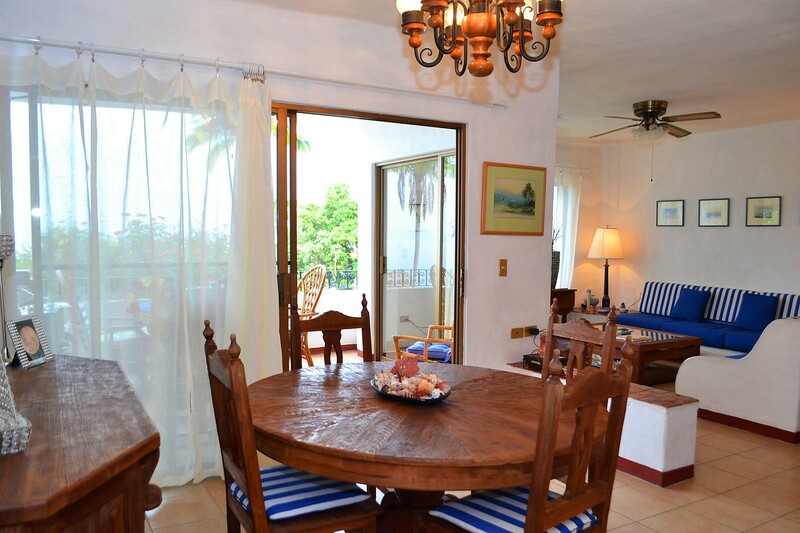 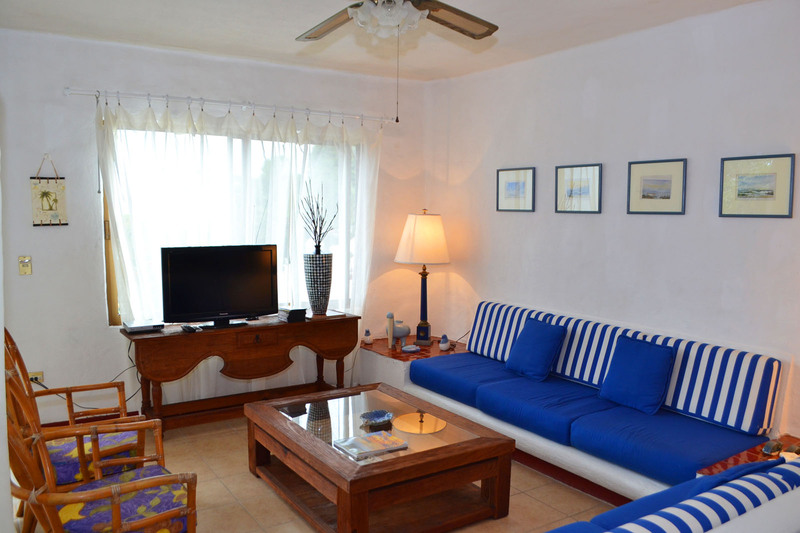 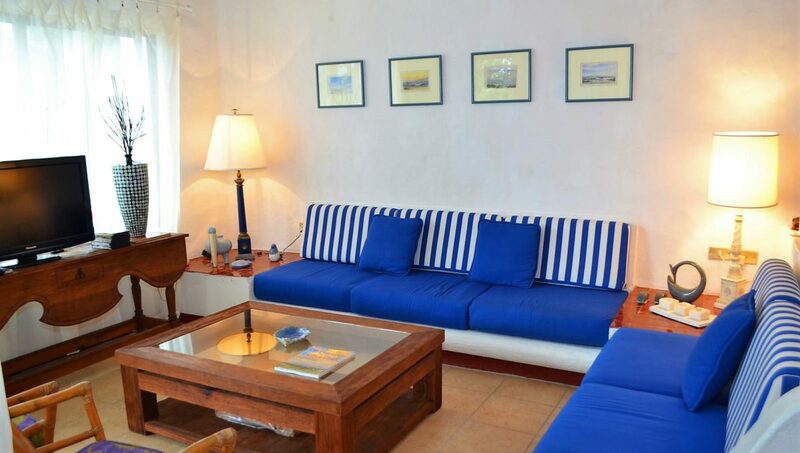 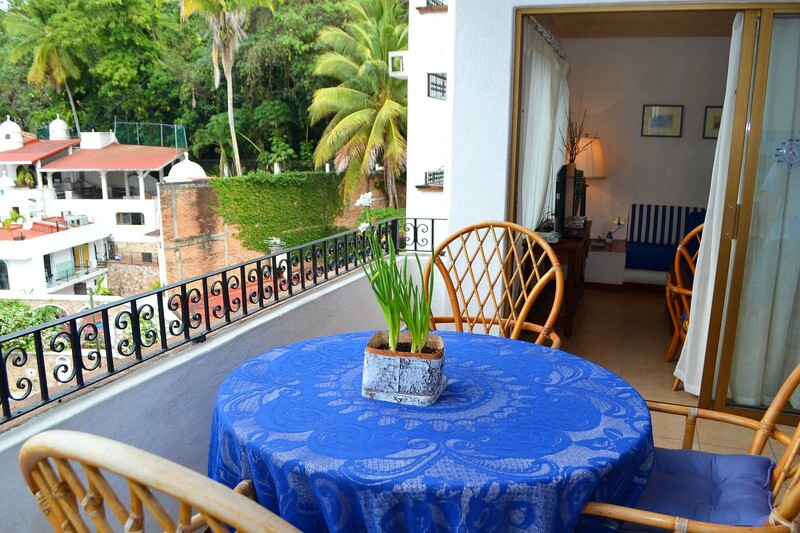 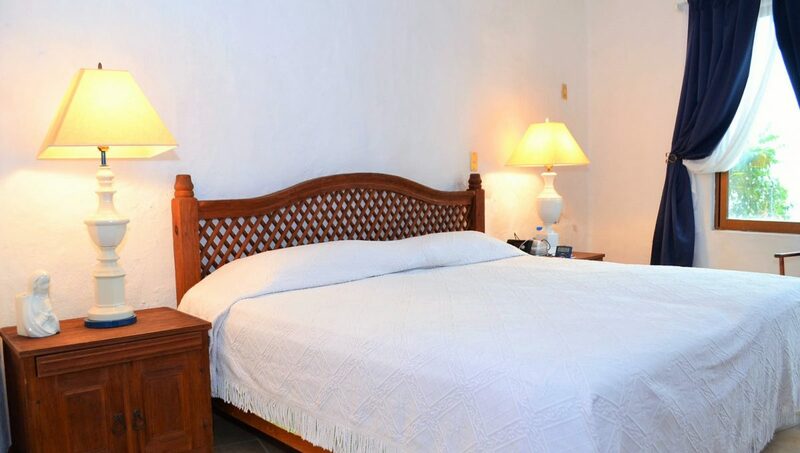 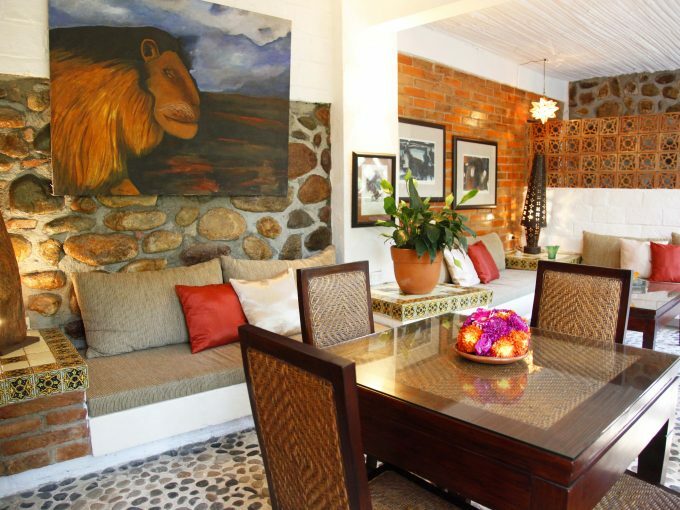 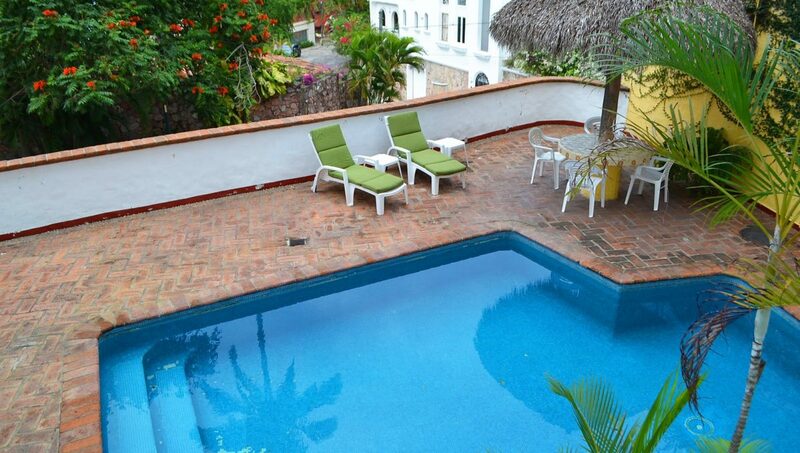 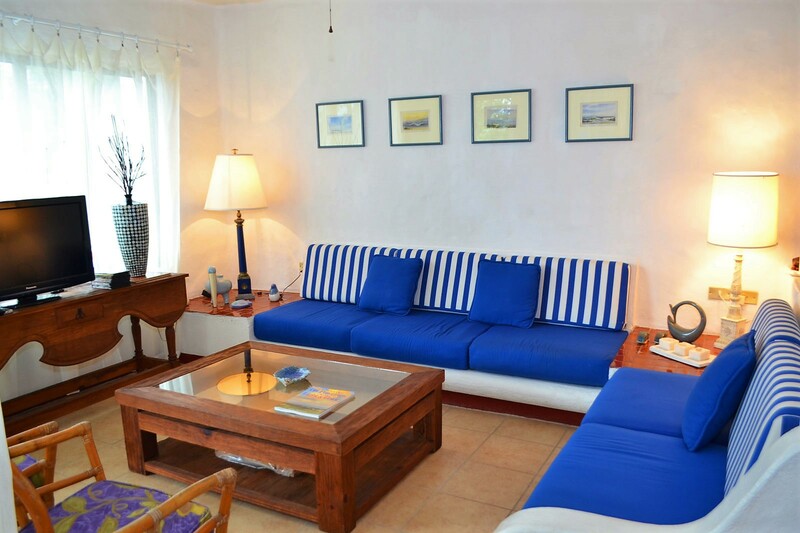 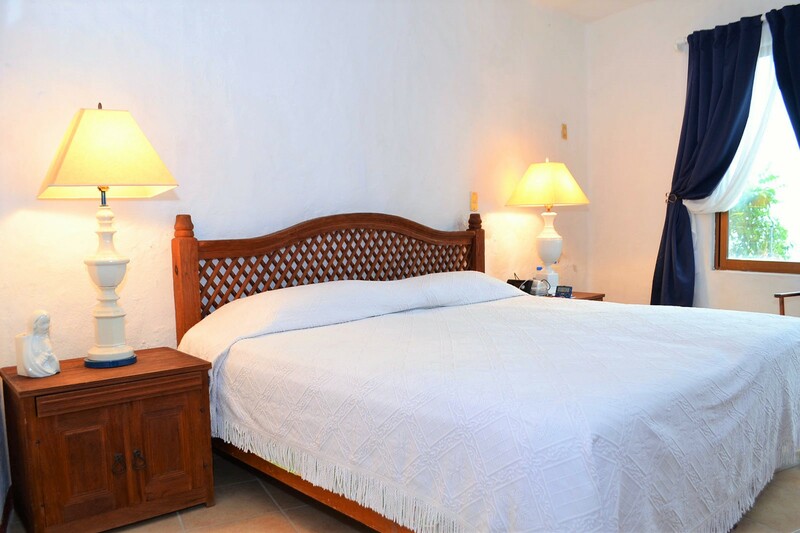 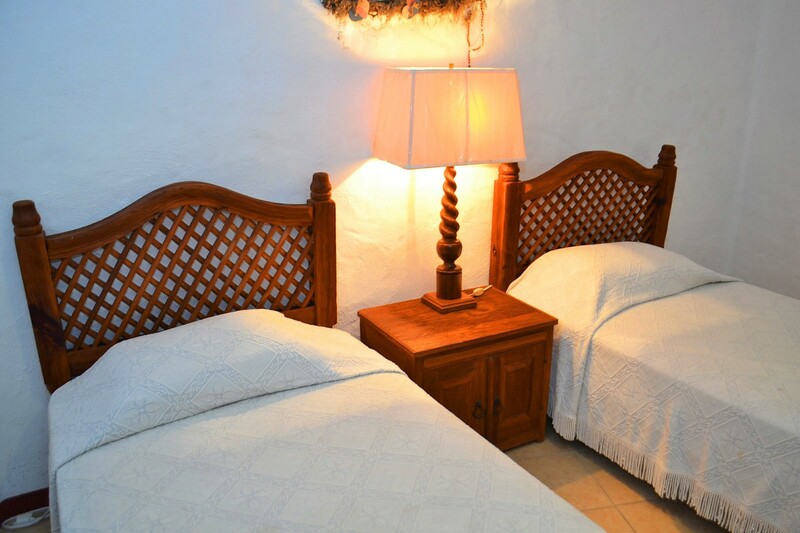 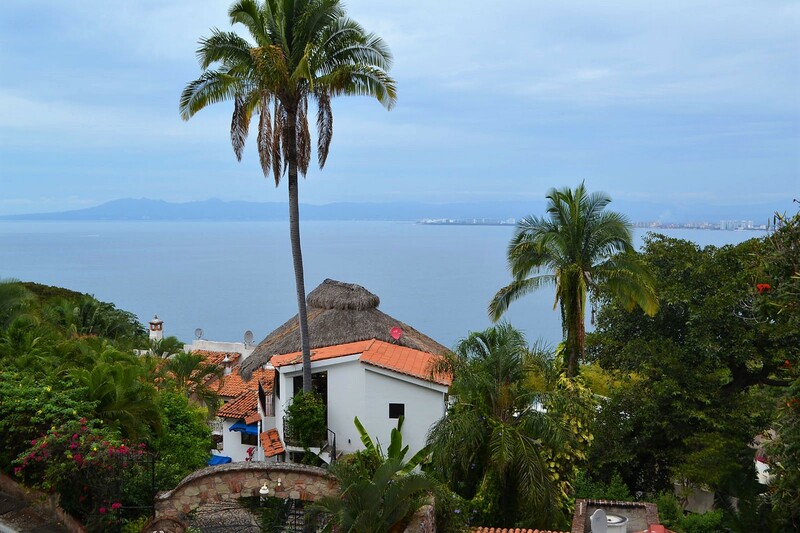 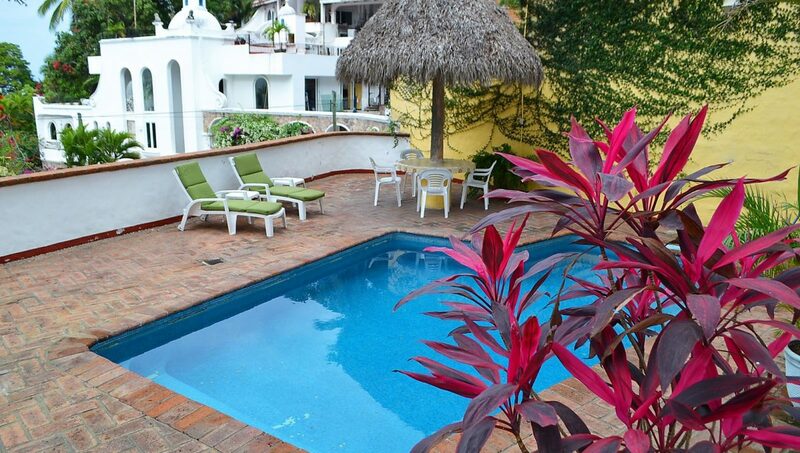 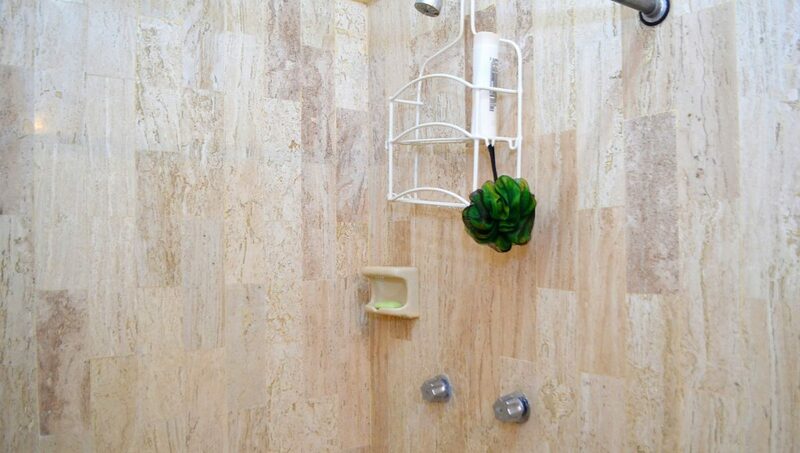 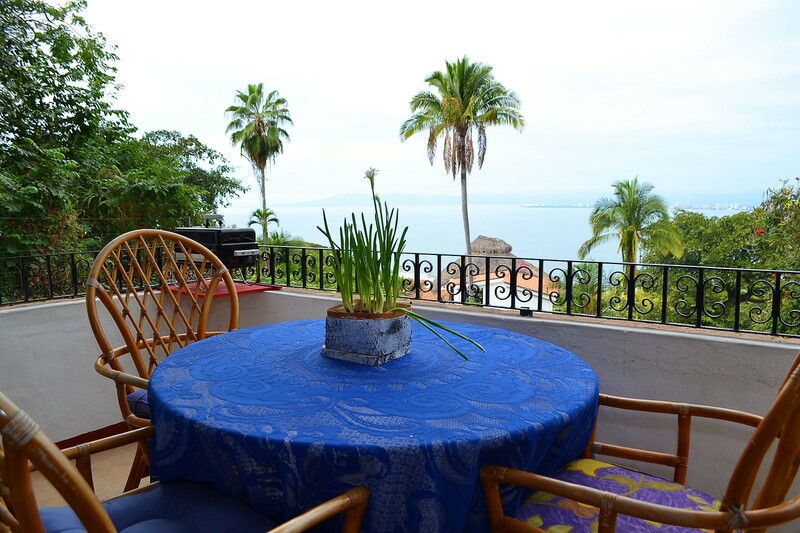 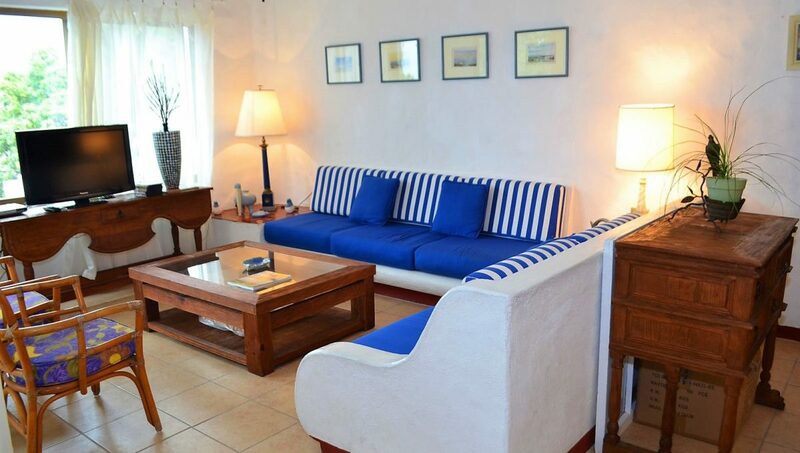 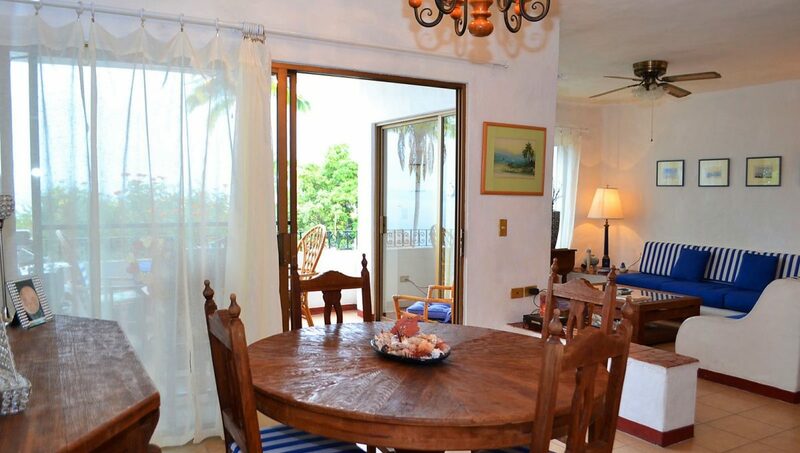 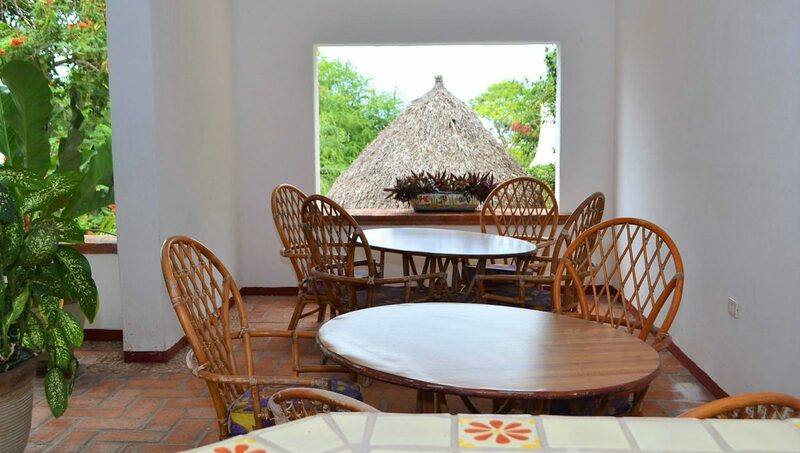 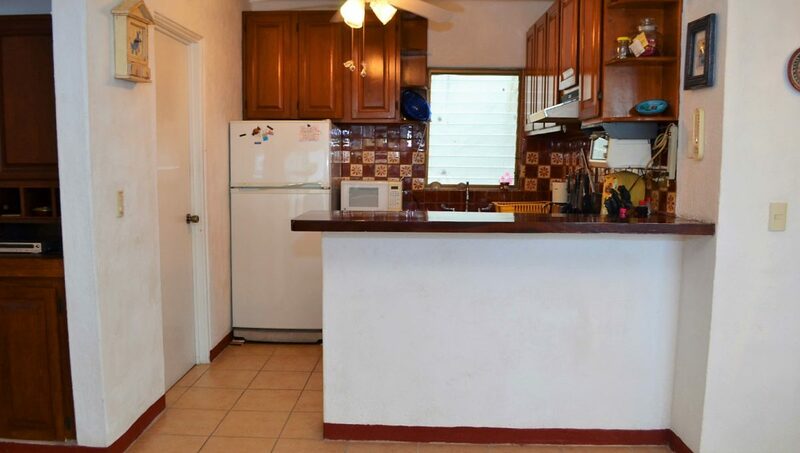 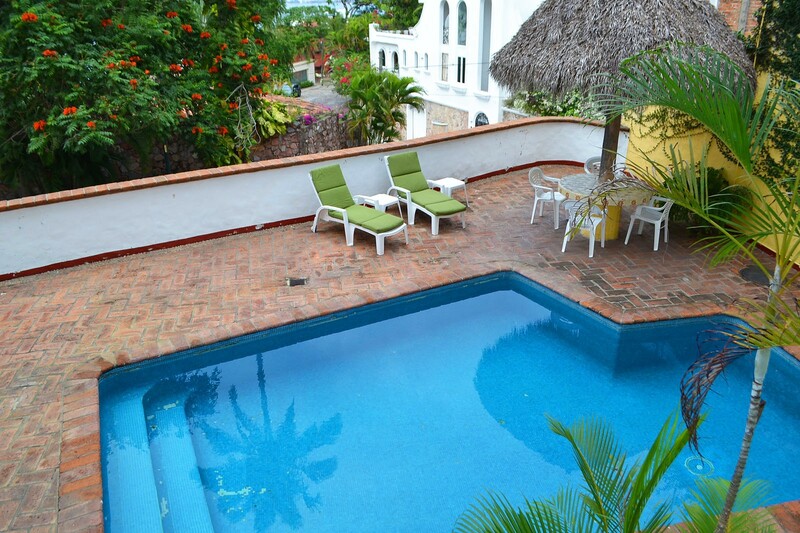 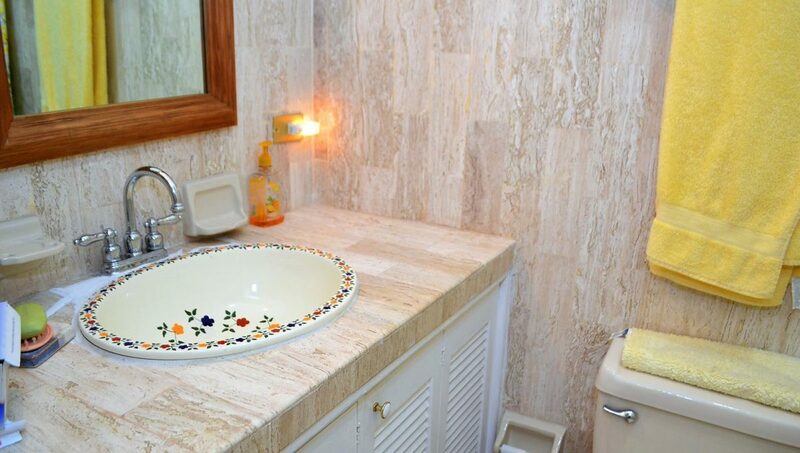 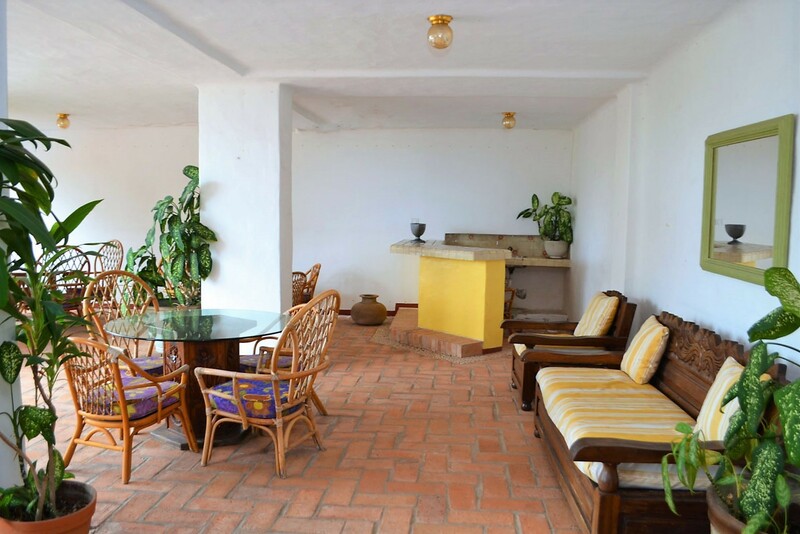 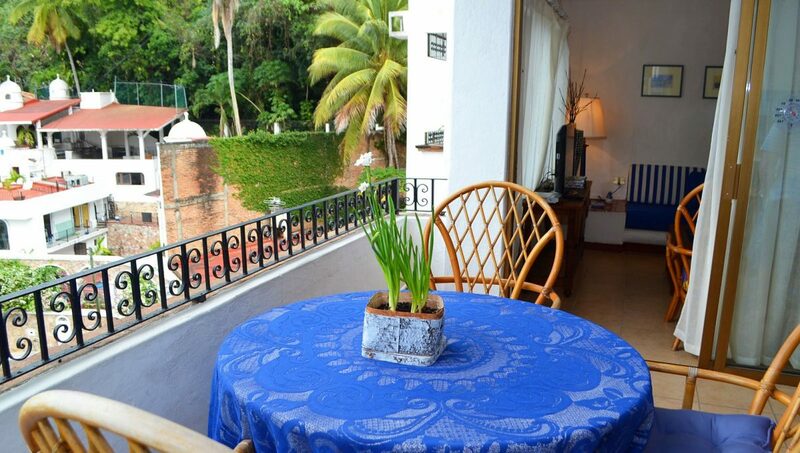 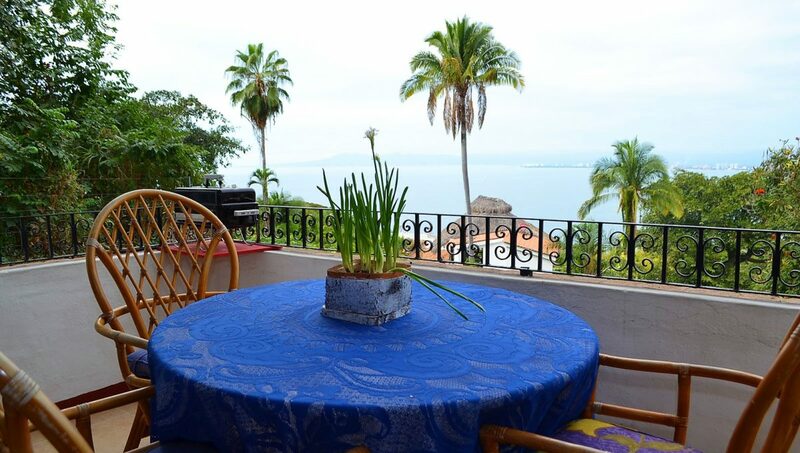 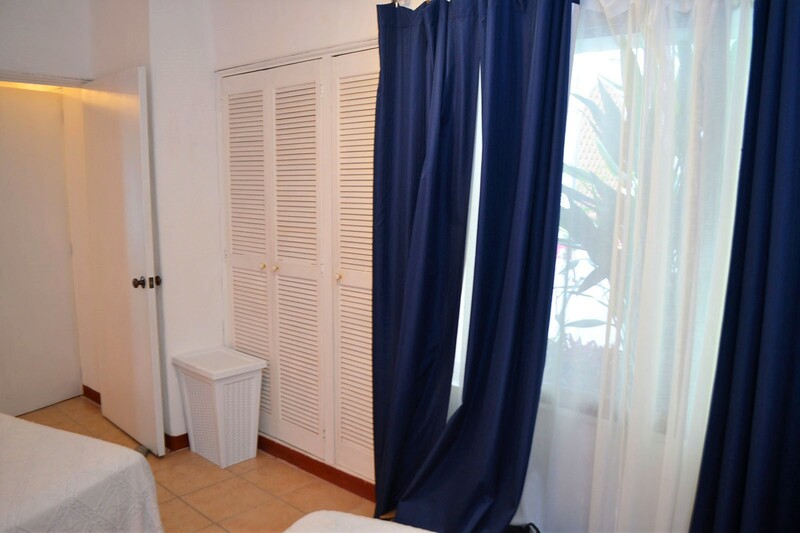 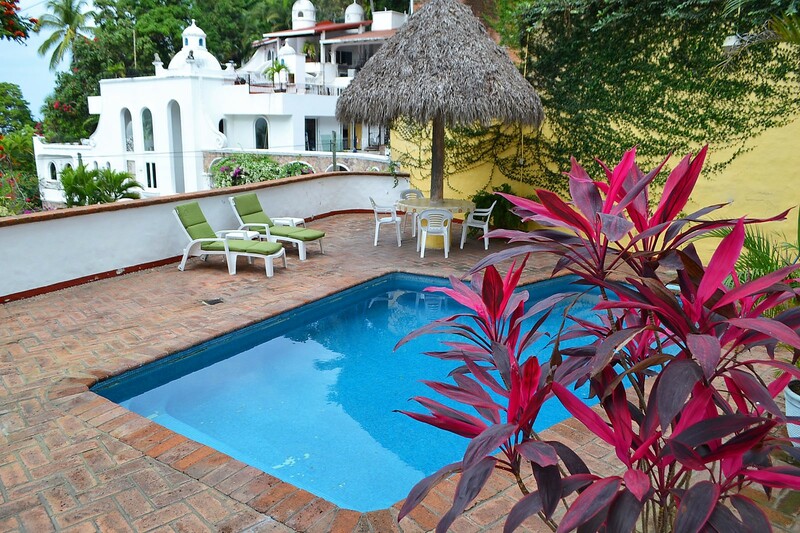 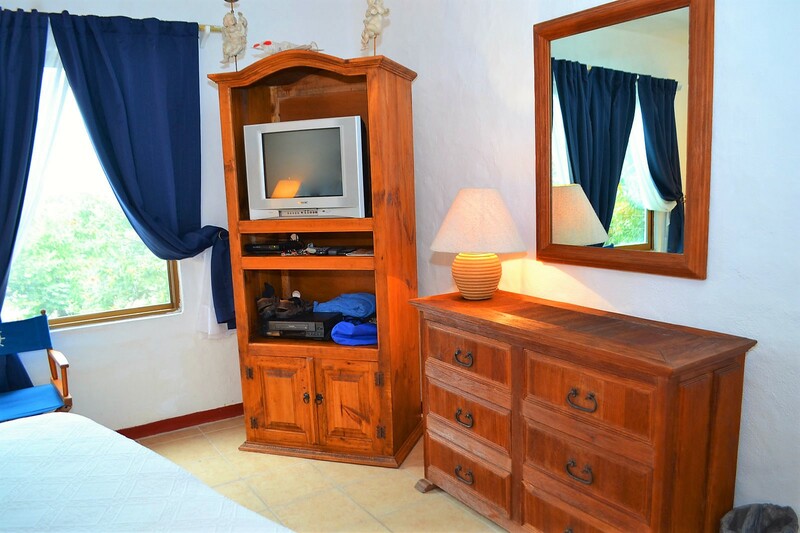 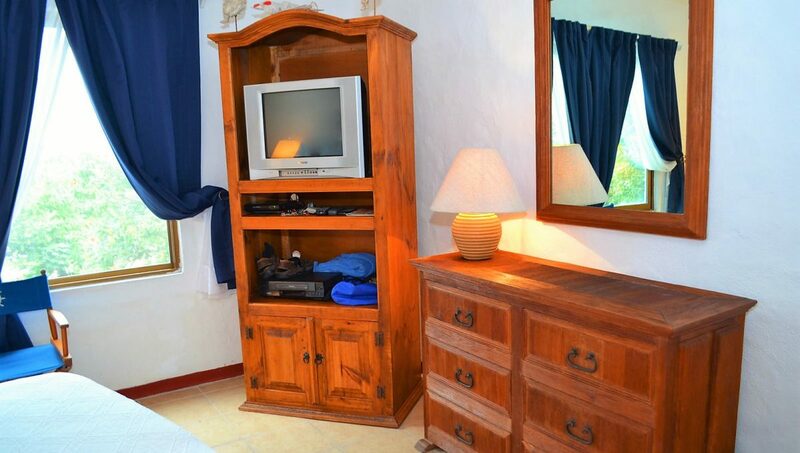 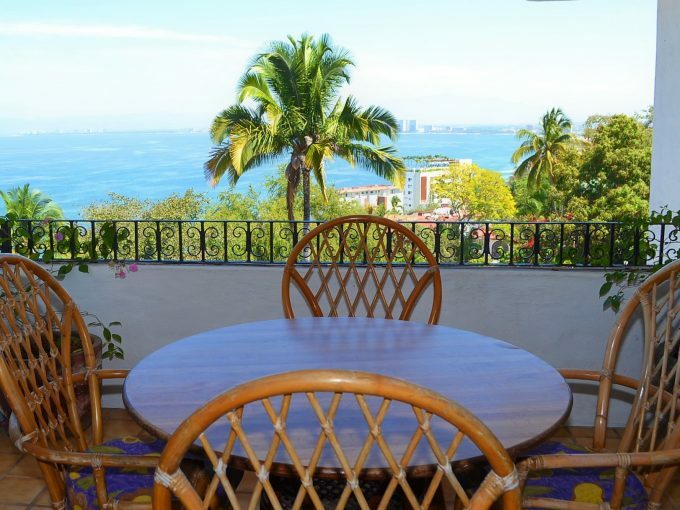 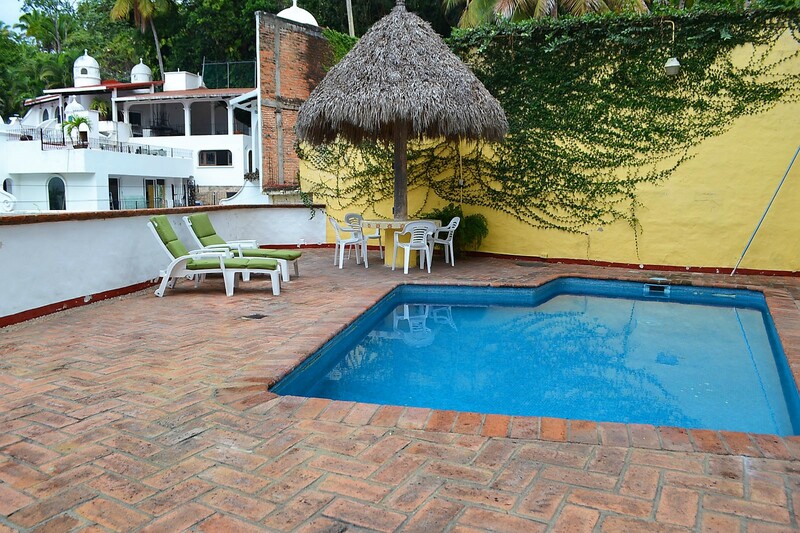 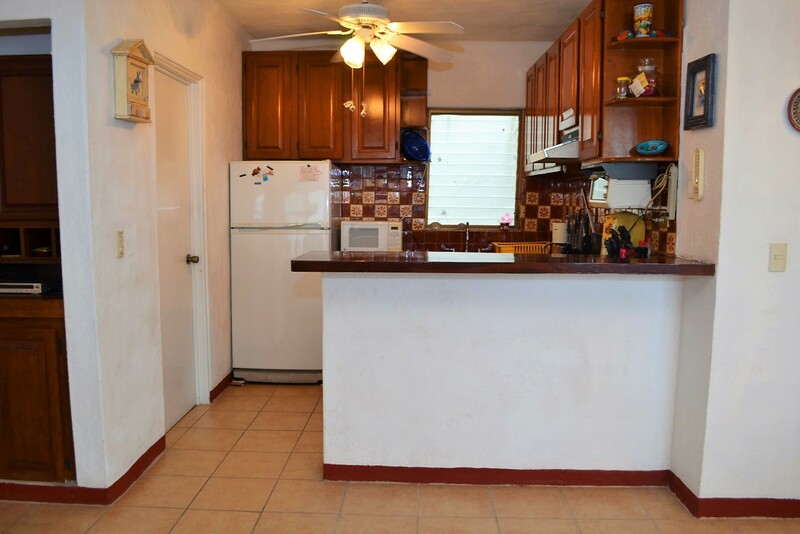 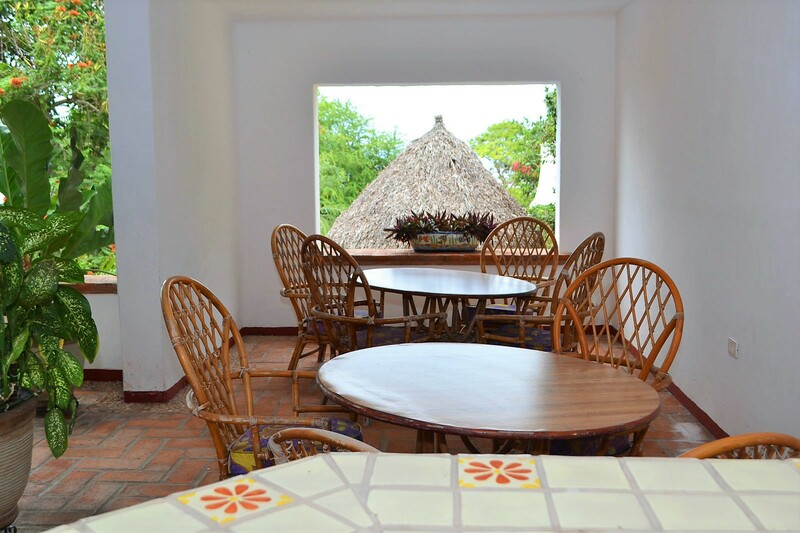 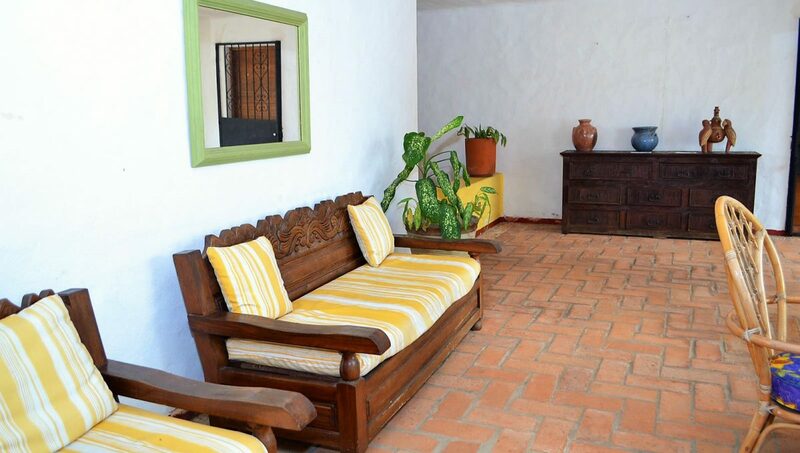 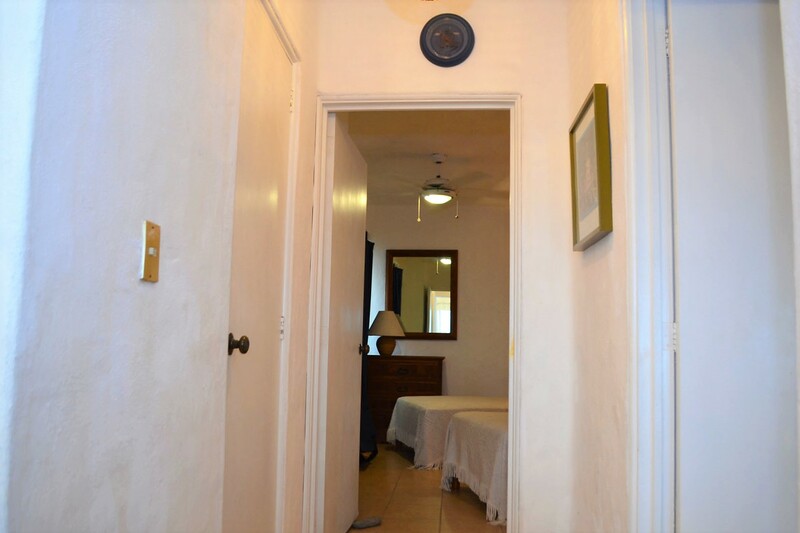 Lovely Spanish style two bedroom condo in the residential neighborhood of Conchas Chinas. 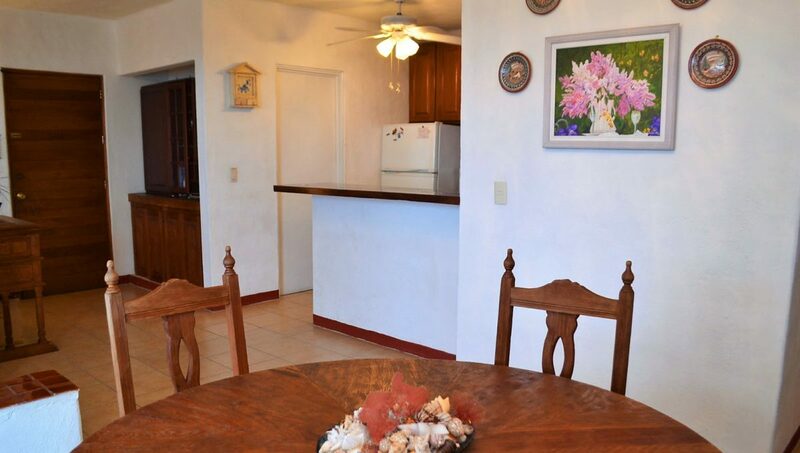 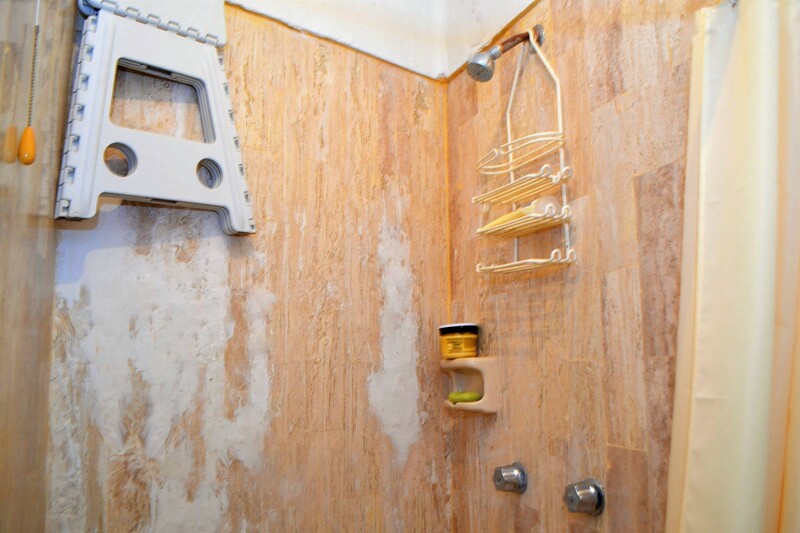 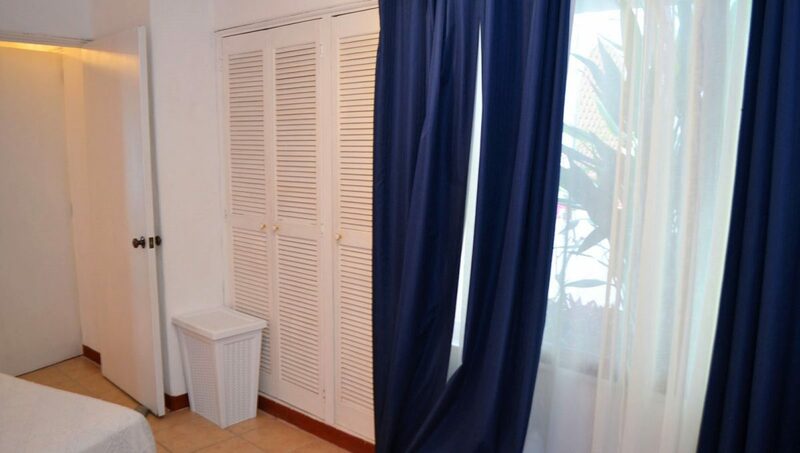 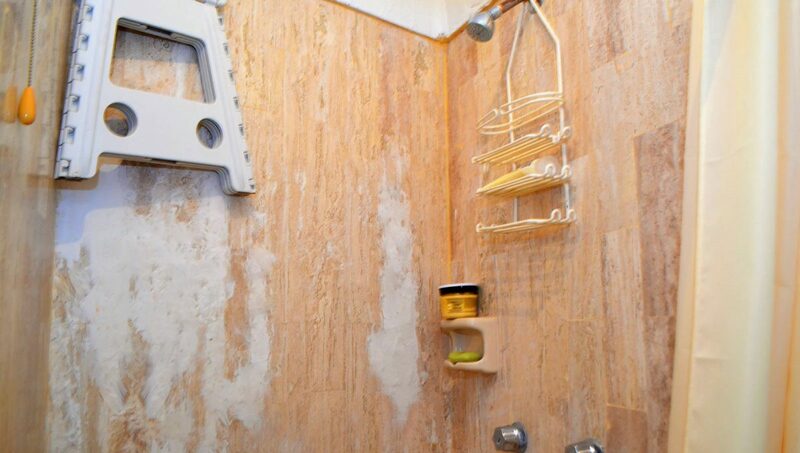 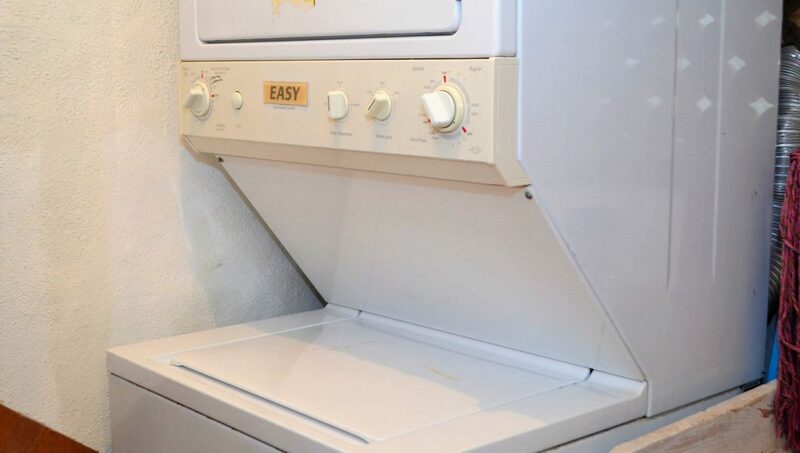 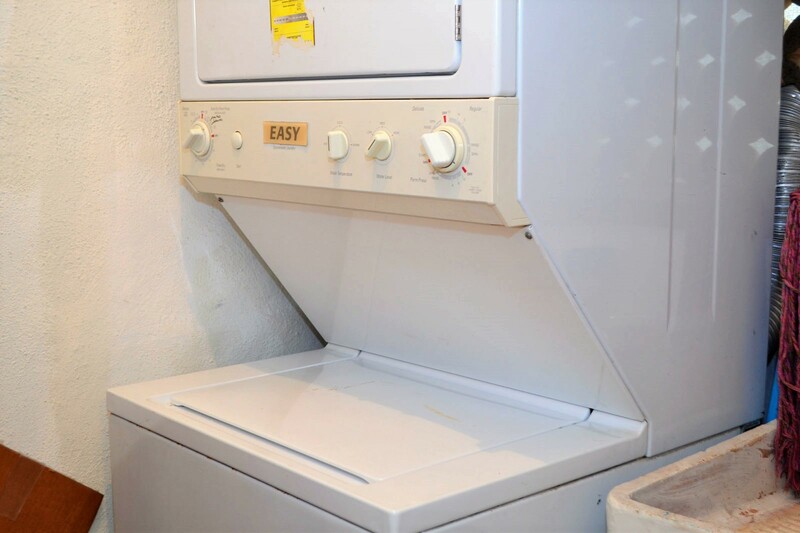 This condo boasts comfortable furniture in this well maintained unit built in the early 90’s. 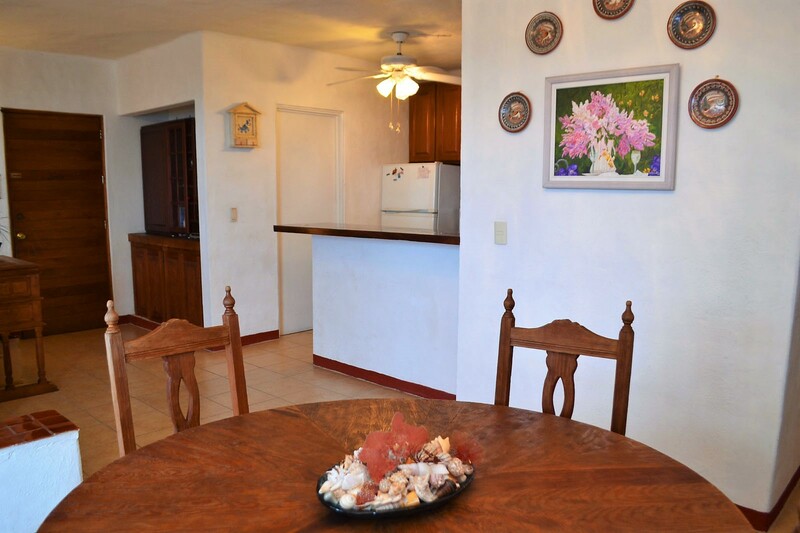 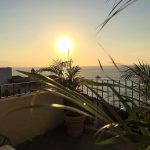 This ocean view condo has a well equipped kitchen and laundry room with washer and dryer. 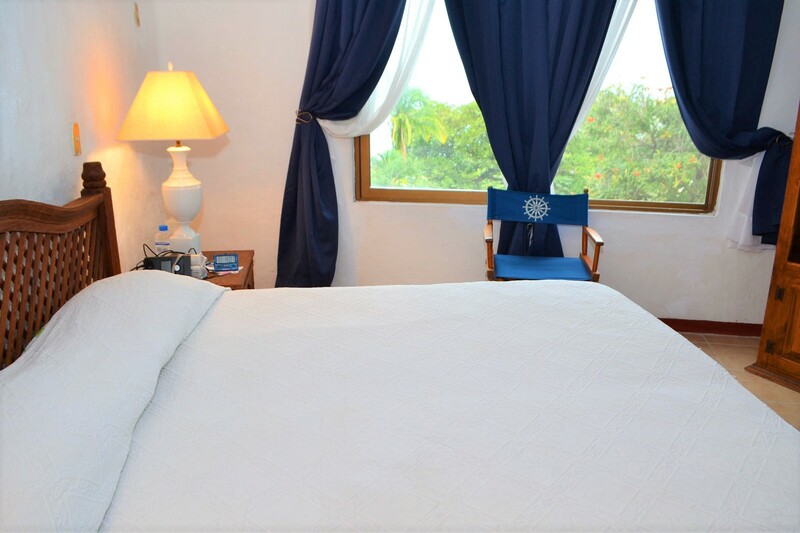 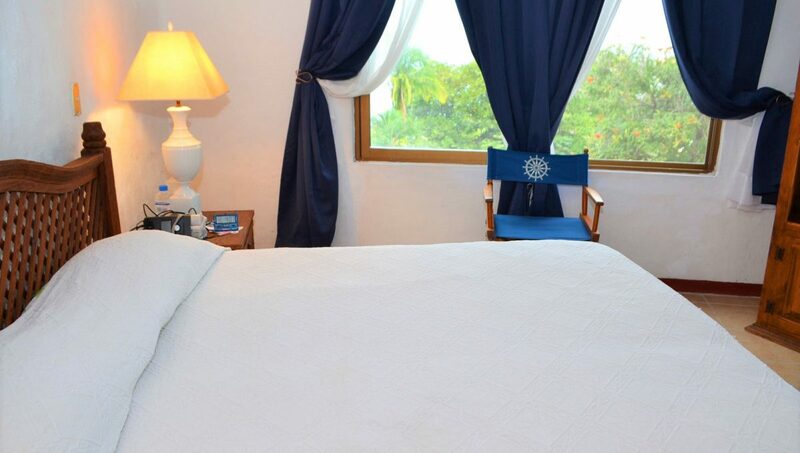 The master-bedroom has a king size bed, ensuite and ocean view. 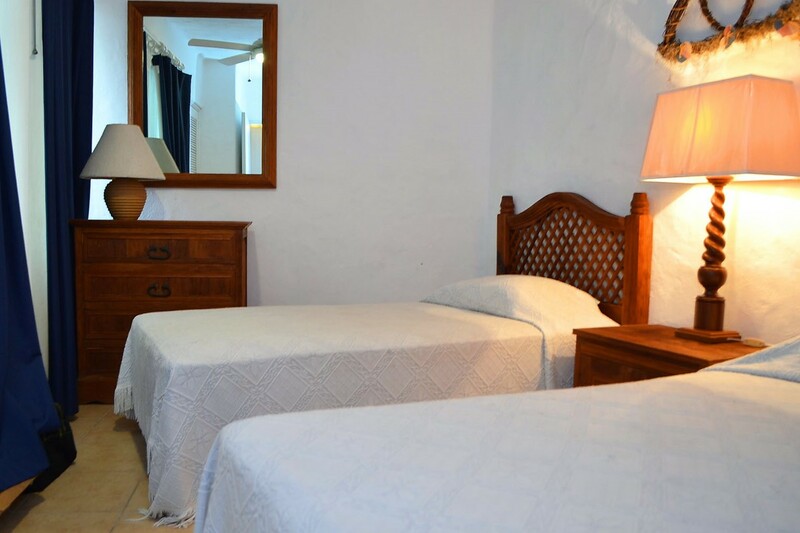 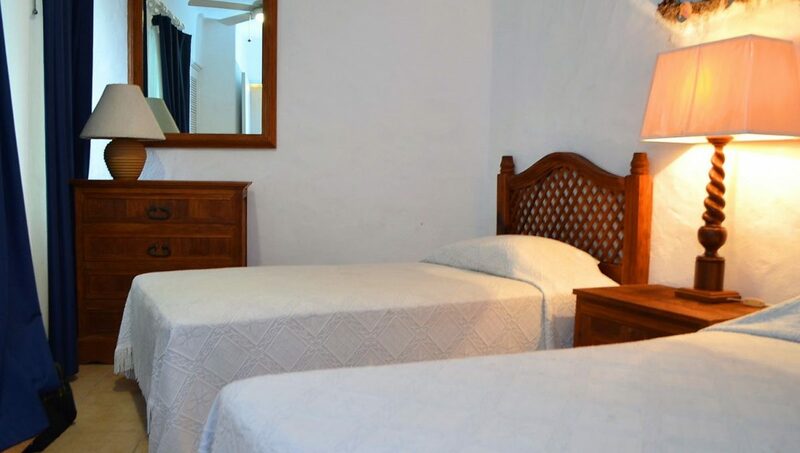 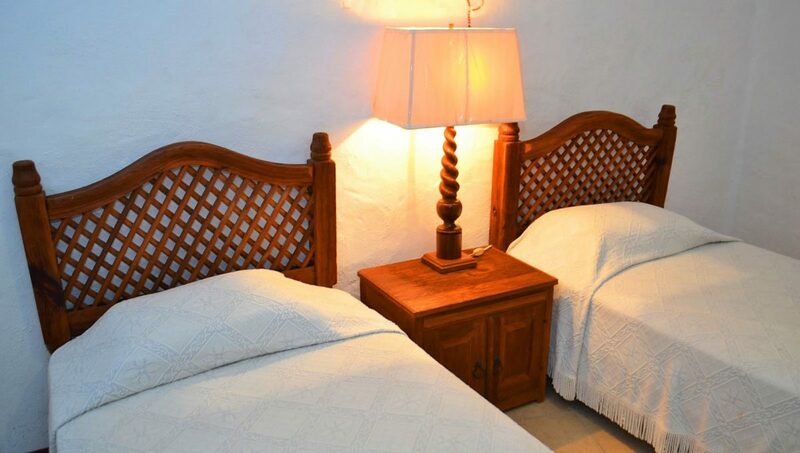 The second bedroom is spacious and has two twin sized beds. 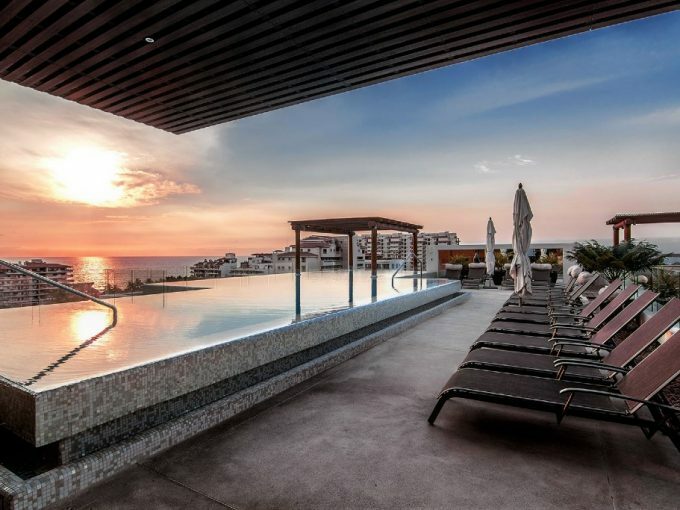 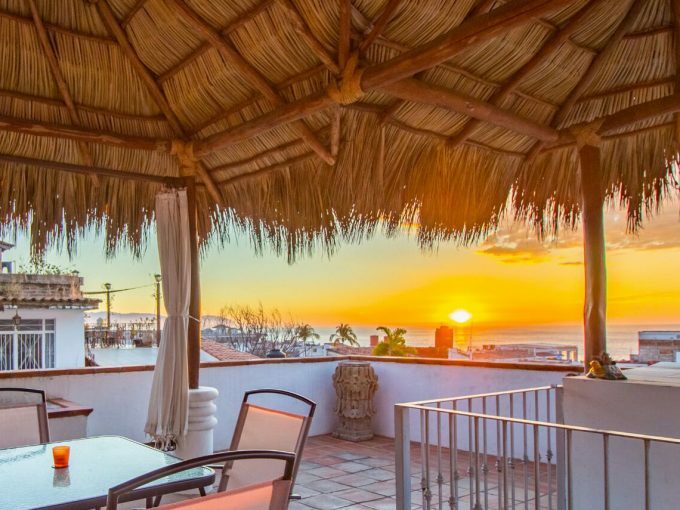 The highlight of the unit is the terrace that allows great outdoor living space and breathtaking views of flowers, birds and the beautiful Banderas Bay. 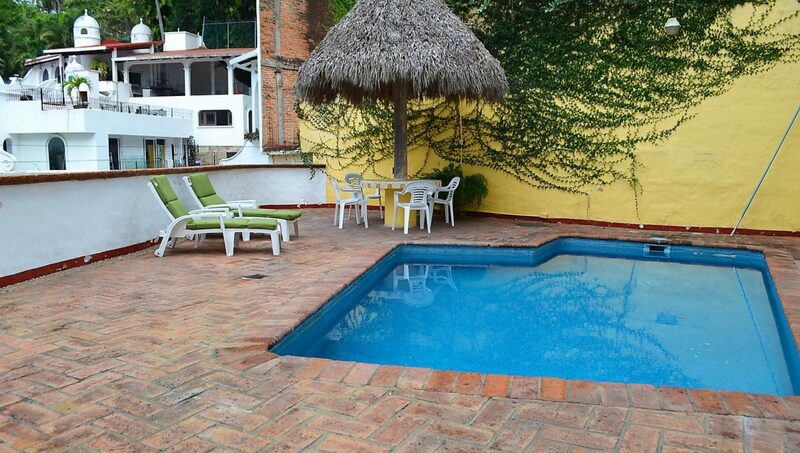 At the foot of the development a common terrace and pool ideal to entertain or enjoy a day under the sun.